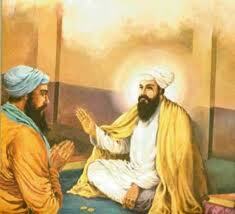 Guru Teg Bhadur Punya Divas is Coming on 17 December. 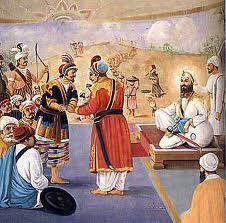 The ninth guru, Tegh Bahadur was given the title Bahadur by his father Guru Hargobind (sixth Guru of the Sikhs) as he displayed such bravery with the sword in battle. Later upon return to Eastern Punjab settling down at Anandpur his followers began to refer to him as the "Sacha Badshah" (True King) Mughal officials such as Nur Muhammad Khan of Rupnagar, Dilawar Khan the Faujdar of Sirhind and Wazir Khan had him arrested and he was taken to Delhi and put to death by Aurangzeb in 1675. However, when Aurangzeb was questioned by a group of Qadis regarding the reasons for the execution, the Mughal Emperor could not clearly explain the causes for the order of the penalty.